As featured on the 1882 Foundation 50 Objects Project, as part of the partnership with the Tenement Museum. I began working for the U.S. Department of Labor (DOL) in 2010. In 2011-12, Secretary of Labor Hilda Solis honored labor workers Cesar Chavez, Dolores Heurta and the National Farm Workers Association and inducted them into DOL’s Labor Hall of Honor. In honoring these great leaders and organization, some of my DOL Asian American Pacific Islander (AAPI) colleagues noticed something missing. Early in the farm workers movement, Filipino American workers were involved in this campaign led by labor organizer, Larry Itliong. The National Farm Workers Association led by Cesar Chavez and Dolores Huerta and the Agricultural Workers Organizing Committee led by Larry Itliong, merged their two organizations to become the United Farm Workers. We knew that there was no intention to slight the contribution of the Filipino American farm workers, but this oversight led my DOL AAPI colleagues and I to think about identifying and nominating an Asian/AAPI worker or labor organization since no Asian or AAPI workers or labor leader had been recognized in DOL’s Labor Hall of Honor. Our DOL AAPI staff team began this task in the fall of 2013 with the expectation that we would have this Hall of Honor recognition and celebration in May 2014 during AAPI Heritage Month. We discussed the contribution of numerous Asian/AAPI laborers who helped build America – Filipino farm workers, Japanese laborers who cultivated the rich farm land on the west coast, Asian-Hawaiians who built the pineapple industry in Hawaii and others. Finally, we agreed that we should honor the Chinese railroad workers who helped build the Transcontinental Railroad. Much of the building of this railroad was done by thousands of laborers brought in from China. When I began researching the Chinese railroad workers, I found very few books written about the contribution that the Chinese railroad workers made in building the Transcontinental Railroad in the mid-1800’s. 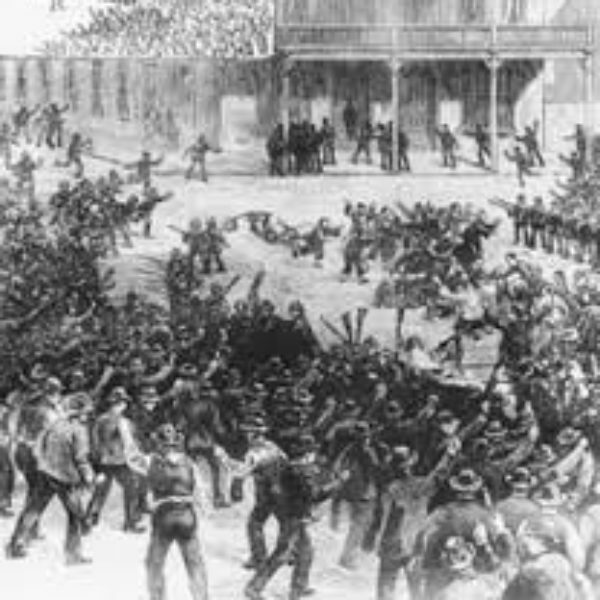 These workers endured harsh working conditions, discrimination and acts of violence. They did not just build a railroad, they helped build a nation. In 1969, during the 100th anniversary of the Golden Spike Ceremony in Ogden, Utah, where the Union and Central Pacific joined their rails in 1869, not one speaker that day acknowledged the contribution of Chinese laborers to the Transcontinental Railroad. 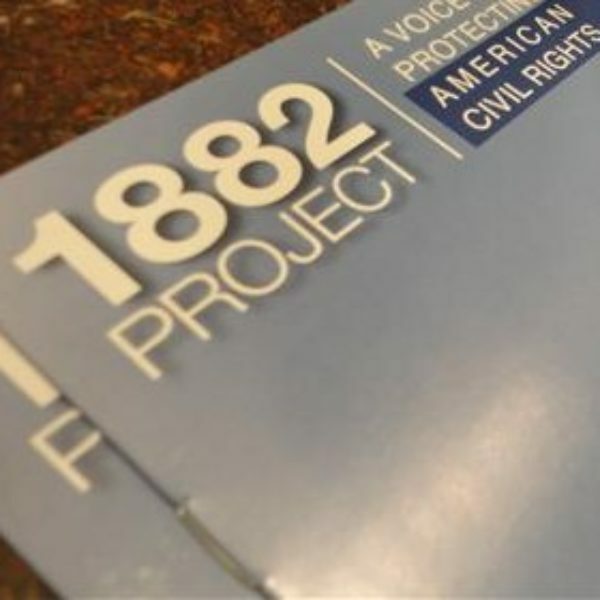 Our team worked with the Chinese Historical Society of America, the 1882 Foundation, the Chinese American Citizens Alliance, Stanford University’s Chinese Railroad Workers Project of North America, OCA and other organizations on this project. These organizations all jumped in to help us learn more about the history of the railroad workers and to connect us with some of the descendants of these railroad workers. As I learned more about the Chinese railroad workers, their story became more personal for me since many of these railroad workers came from the Canton region, now known as Guangzhou. Like my grandfather, father and many men from this region during the 1900’s, they traveled across the ocean to a strange new land despite anti-Chinese attitudes and laws so that they could provide a better life for the families they left behind in China. 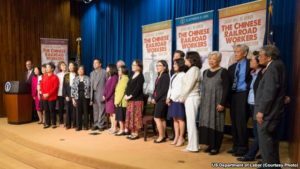 On May 9, 2014, Secretary of Labor Thomas Perez standing with 12 descendants present, honored and inducted the Chinese Railroad Workers as the first Asian workers into DOL’s Labor Hall of Honor. It was a joyous occasion and one celebrated by Chinese and Chinese Americans across the US and abroad, as well as for the AAPI community. 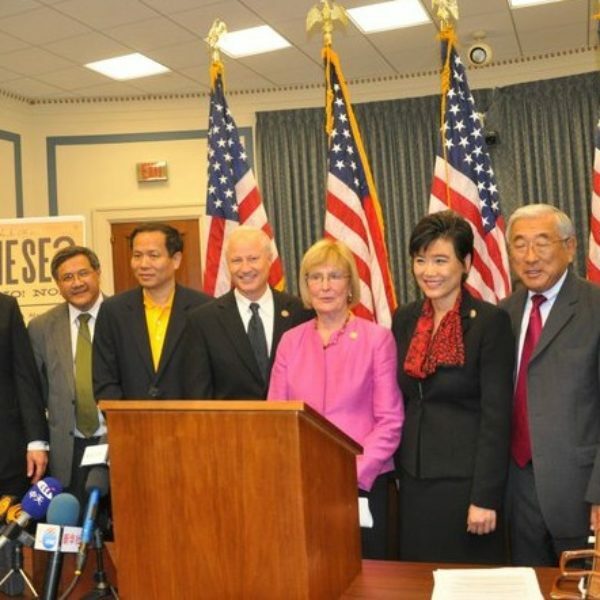 As a Chinese American, I was honored and humbled to be a part of this event in honoring these Chinese Railroad Workers because like for many Chinese who have come to the US, their story was our story.